Home News Press Release: The Rhapsody Approaches - North American Tour Announced! Los Angeles, CA (December 3, 2018) – The soaring success of Bohemian Rhapsody – the Freddie Mercury/Queen movie that is set to become the biggest grossing music biopic of all time – has proven that the public’s love for Queen remains as strong as ever. 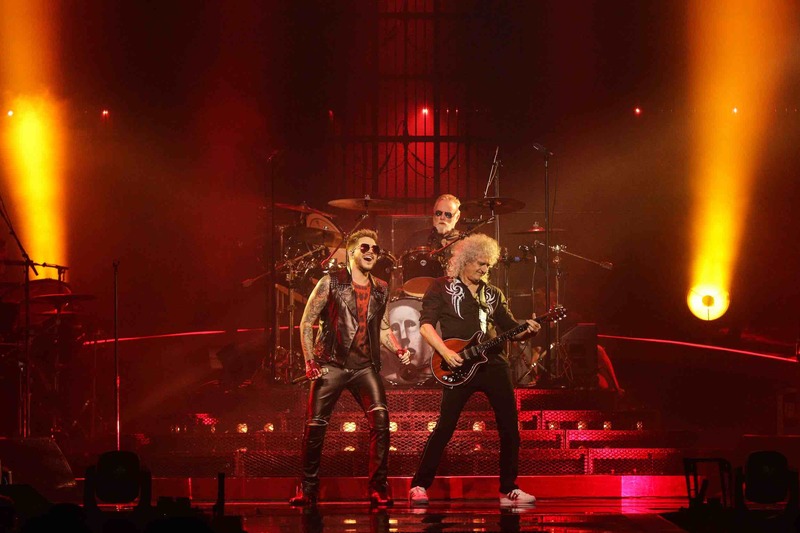 Longtime fans and recent converts will be thrilled to discover then, that Queen – original band members Brian May and Roger Taylor, teaming up once more with longtime frontman Adam Lambert on lead vocals – will return to North America next year. Produced by Live Nation, the epic 23-date arena and stadium Rhapsody tour is set to run from mid-July through late August with an all-new concert experience. Tickets for the Rhapsody tour go on sale to the general public starting December 7th at LiveNation.com at 10 AM local time. Queen and Adam Lambert Fan Club Presales* will run from 10 AM local time through 10 PM local time on Thursday, December 6th. *Pre-sale links and codes will be sent on to QueenOnline.com subscribers and Queen Fan Club Members via email on Tuesday 4th December. The tour follows an acclaimed run of 10 sold-out shows at the MGM Park Theater, Las Vegas in September 2018 and will kick off July 10th at Vancouver Rogers Arena. Stop-offs include some of the most history-packed venues in the US and Canada, including The Forum in Los Angeles (the last venue the original line-up played in North America on September 15, 1982) and New York City’s Madison Square Garden (the site of past Queen glories, including a memorable performance from Queen + Adam Lambert on July 17, 2014). It will wrap August 23rd at Spectrum Center in Charlotte, NC. With Brian May adding: “This is a great opportunity. Our last tour featured our most ambitious production ever and got us our best notices ever. So we decided to rip it apart and get even more ambitious! Watch out, America! " 3rd December 2018 Press Release: The Rhapsody Approaches - North American Tour Announced!